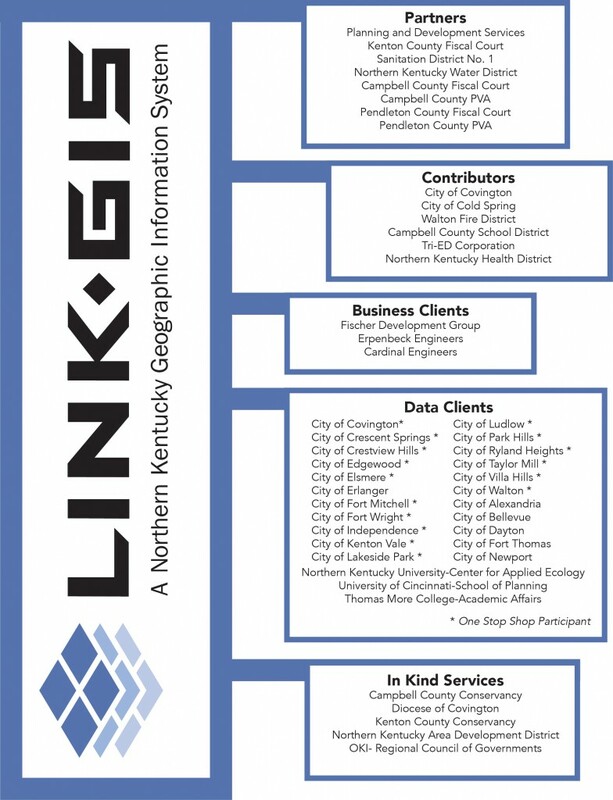 The LINK-GIS Partnership is a multi-jurisdictional collaboration authorized under KRS65.240. Contributing partners include the following. By terms of its various agreements, the Planning and Development Services of Kenton County (PDS) acts as managing partner and functions as its central support staff. Contacts with the partnership should be sent to PDS.